End the confusion of your part. Get clarity on how to prioritize your movement for a dance that feels excellent to you and your partner. Get the organization or your movement that will allow you to move effortlessly. Isn’t it time you felt like your dancing was fun and present and confidant? In this bootcamp you will learn the elements that are the building blocks of EVERY STEP IN TANGO. We will work ambidextrously so you can immediately start navigating and improvising to the music. Out of the list above you will discover thousands of possibilities that when danced with connection and music will get on the dance floor moving with your partner and feeling relaxed and free. Milonga, the often neglected sister of tango, don’t sit out the next time this playful 2/4 time music comes on! Get confident in the structures and timing in a two part progression that will leave you feeling energized. Take home exercises included so you can practice confidently on your own or with your partner. The third and most romantic variation of Tango. Vals is characterized by ¾ timing as well as pendulum movement and turns. Get swept off your feet while developing an unforgettable feeling of tango vals. Drags and sweeps! Get to know this magical illusion of tango. Warming up with sensitivity work that will help you develop the subtle feeling and connection that allow you confidence in this luxurious element of tango. Followers gain confidence in maintaining effortless connection, leaders get ready to take her breath away (but not her balance ;) with surprising arrastres and barridas. The humble cadencia (cadiance) step is a foundation of improvising and musicality in this dance. Play with hundreds of variation of timing, direction, entrances, and exits from this musical element of your dance. This workshop alone will open worlds of possibilities! GET TO KNOW THE MASTERS OF TANGO! Ever wonder where tango came from? Join Sara on a video journey through the most influential dancers that have shaped the tango that you see today. Gain deeper understanding into the roots of tango so you can dispel confusion about what is right and wrong and start to make intelligent choices on how you want your dancing to develop and grow. Free to all! Discover the easy and enjoyment of twist aka pivot in ochos. Never again struggle with balance or “heaviness” in your ochos! Gain confidence in how to lead this essential element of tango with any partner to any music. It’s half the dance walking in cross. Develop confidence in crossed system by having a felt sense of where your partner’s weight is. The unique dynamic of crosswalks lends itself beautifully to alterations, which will let you start to float and fly in your dancing. Did you know there are three primary types of ocho back? Expand your fluency and expression in tango by learning the difference between standing leg, free leg, and crossing ochos! Your dancing will never be the same. Once you gain an understanding of twist, axis, and ochos, it’s time to explore boleos. Hint: we will take a look at how boleos developed over the decades in our video course on Friday. Know how to keep a boleo on the floor, stretch it out, or let it fly. Follows will learn how to lead the different leads for this move and manage their legs on a crowded floor. ¾ turn, full turn, doubles… get to know the importance of synchronization in the turn. If you’ve been baffled by this one, discover the magic that happens when turns are done as a couple rather than attempted as choreography. Learn the feeling of turns in as they are danced in Buenos Aires. Once you have a feeling for turns.. It’s time to add entrances. Women’s and men’s entrances included so muster up your remaining energy for this fun enhancement of the the merry-go-round of tango, giros! 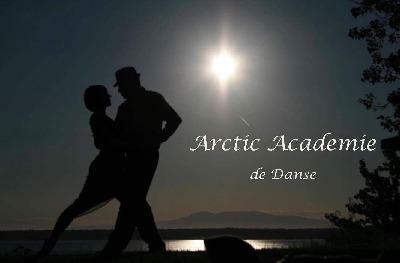 We are Tango enthusiast in Alaska that help organize and promote Tango workshops in Alaska.